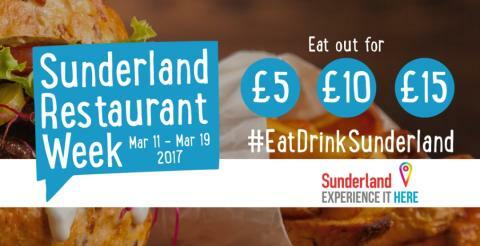 Sunderland Restaurant Week will run from Saturday 11 until Sunday 19 March. Diners can discover fantastic food from restaurants across the city, with special two and three course menus available for £10 or £15 as part of Eat Drink Sunderland Restaurant Week. And that's not all! The week will also have a special £5 daytime offer available, giving you the choice of a great range of cafés to take your pick from. Travelling to the heart of Sunderland couldn't be easier with us. Simply use our Journey Planner and Fares Finder and you'll be on your way in no time at all. If you are heading out during Sunderland Restaurant Week, share food pictures and give your recommendations using the hashtag #EatDrinkSunderland across social media.